No, it's not that everyone is dead here. It just seems this place is made up of lots of office parks, but no homes. 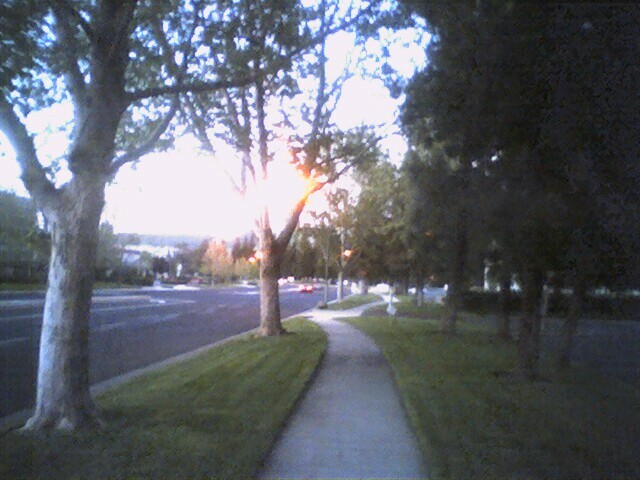 There are immaculate sidewalks with well manicured lawns, beautiful trees and flower gardens yet on my one hour walk around the area, I didn't encounter a single pedestrian. A car would occasionally drive by, but that was about it. It's like being in a computer game or something where there aren't any other people to interact with unless you go into a shop.